The billionaire club has a new member. Broadway's mainstay, The Lion King was not long ago inducted into the Musical Hall of Fame. And now, according to Disney Theatrical Productions, the North American touring show that has visited more than 70 cities, has crossed one billion dollars milestone at the box office. Till date, have been bought by more than fifteen million theatergoers who can't get enough of the breathtaking visuals and enchanting music. The overwhelming success of The Lion King movie, which released in 1994 led to its first stage adaptation in 1997. Set around the majestic Serengeti Plains, the musical raises its curtains on the rhythmic African beats as the timeless story of young Simba unfolds. One of the most innovative directors of theatre, Julie Taymor has left no stone unturned to make it a success. Through stunning effects, spectacular colors, masks and puppets, her vision of The Lion King was brought to life, making the musical a hit. Taymor also became the first woman to receive a Tony Award in the category of Best Director of a Musical' and made a record in Broadway history. Besides coming up with a spectacular production, Julie Taymor has also brought innovation into the musical through the dramatic expansion of the story. Few scenes have been added into the script that were missing from the movie. For instance, to further highlight the insanity of Scar', a scene was added in which he tries to convince Nala' to become his mate. There is another scene in which a conversation takes place between Mufasa' and Zazu'. One very important change from the movie is that of the gender of Rafiki'. The makers of the musical were of the view that the movie lacked a powerful female character, hence for Broadway, Rafiki's gender was changed. The Lion King Musical is lauded for its brilliant scenic and stage design. The musical opens with the sun rising on Pride Lands followed by a procession of exotic animals as they pass through the aisles and get on the stage. With Circle of Life' playing in the background, more animal-masked humans and puppets make their way to the stage creating a breathtaking spectacle. Richard Hudson the Set Designer along with Julie Taymor has created a 360 degree experience through an elaborate design. Various wildlife forms including birds, insects and animals fill the airspace, aisles, sky boxes and balconies. Richard Hudson has especially been recognized for his beautiful recreation of the famous wildebeest stampede scene for stage. The effort won him a Tony Award in the category of the Best Scenic Design'. The magical music by Elton John and Tim Rice has added more depth to the scenes. Songs like Circle of Life, Endless Night, Can You Fell the Love Tonight and Hakuna Matata bring life to the musical. To facilitate the additional scenes, new songs have also been included into the already brilliant repertoire. Chow Down, Be Prepared and The Morning Report are the fresh numbers that help in effective scene transitions. The Lion King is the fifth longest running show in Broadway history. Since its premiere the musical has won eight Drama Desk Awards, five Tony Awards and one Theatre World Award in various categories including The Outstanding Musical', The Best Costume Design for a Musical' and Best Choreography'. The Lion King also has to its name two Laurence Olivier Awards. Its latest accomplishment includes getting recognized with Moliere Awards for the Best Lighting Design', Best Costumes' and Best Musical'. Each Lion King show makes use of at least 23 musicians and 40 actors. The musical uses five different languages including Xhosa, Zulu and Swahili. The Lion King has to its name more than 70 awards. The tallest animals in the musical are giraffes that are 18 foot long and the smallest is the five inches trick mouse. In every performance the phrase Hakuna Matata meaning No worries is said 25 times. Q:1 How can i get cheap lion king tickets? Q:2 How much are lion king tickets? 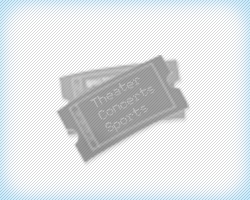 A:1 You can get Cheap Lion King Tickets from our website very easily. The prices being offered by us are among the best and most flexible available in the market. Simply log on to our website, go to the event's page and get the tickets you need by following a few simple steps. A:2 The Lion King Tickets prices on offer by us on our website come in variety of prices. That is done to make sure you have the power to get your tickets at some of the best prices in the market. Log on to our website for all the details you need and get your tickets as soon as possible. A:3 In order to book your Lion King Tickets, all you have to do is spare a few minutes from your precious time and pay our website a visit. You will find out that the prices on offer by us are extremely economical and well within range of people with all types of budgets.